Millions of pounds worth of donations to British charities have been blocked or returned by global banks, amid terror financing concerns. Humanitarian operations in Syria, Iraq and Gaza are in jeopardy as a result, a think tank warns. 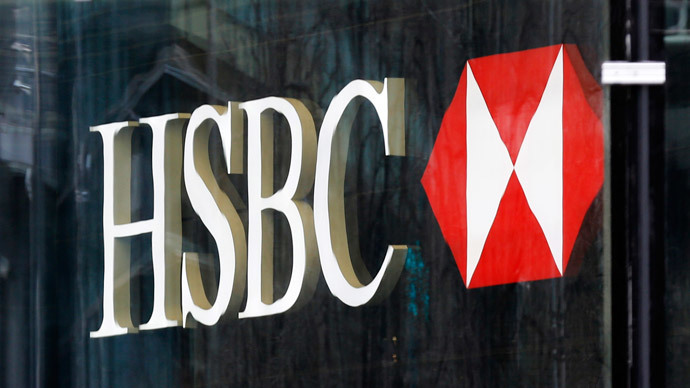 In recent months, a slew of international banks including HSBC, UBS and NatWest have frozen accounts held by UK-registered charities and global NGOs that deliver aid to crisis-ridden conflict zones. International development think tank, the Overseas Development Institute (ODI), warns banks’ “overly risk-averse action” towards charitable organizations and NGOs in Britain is a direct result of UK counter-terror legislation. In a report, published Thursday, the think tank called for the Treasury to offer banks concrete guidance on how they should respond to Britain’s counter-terror laws. Muslim charities, based in Britain, argue they are being disproportionately singled out by UK authorities. Since April 2012 alone, over 25 percent of all statutory probes launched by Britain’s Charity Commission have targeted Islamic organizations. The ODI warns these statistics are troubling. In its report, ‘UK humanitarian aid in the age of counter-terrorism: Perceptions and reality,’ the think tank revealed one charity was forced to forgo donations amounting to £2 million over the past year due to funds being suspended by a bank. The ODI’s research also suggests aid workers based abroad have had their wages blocked or delayed regularly by banks. The ODI's report comes as British charity the Joseph Rowntree Trust faces increasing pressure from MPs to clarify its allocation of funds to UK advocacy group CAGE. The campaign group, which actively seeks to support victims impacted by the ‘War on Terror,’ liaised with Mohammed Emwazi, otherwise known as ‘Jihadi John,’ over a number of years. Its relationship began with the Islamic State executioner when he visited its modest East London office block in 2009. After describing Emwazi as a once “beautiful man” who had endured severe harassment at the hands of UK security services, the advocacy group’s research director Asim Qureshi was vilified last week by UK MPs and media commentators. Hi @UK_CAGE, I ask again 1) Did MI5 break law re: Emwazi (since you keep bringing up due process) 2) Why not release full tape of convos? British government-backed regulator, the Charity Commission, subsequently launched a probe into CAGE’s financial activities. Investigators are inquiring whether CAGE’s financiers, the Joseph Rowntree Charitable Trust, had ensured the advocacy group was utilizing its grants in an acceptable manner. The investigation is ongoing. In a formal statement, the Joseph Rowntree Charitable Trust said it issued three separate grants to CAGE between 2007 and 2010 – amounting to £350,000. It clarified further it offered a fourth grant payment to the advocacy group in January 2014. The trust maintains it stands by its decision to offer this funding. “We believe [CAGE] has played an important role in highlighting the ongoing abuses at Guantanamo Bay and at many other sites around the world, including many instances of torture,” the trust said. He called for supporters and funders of the advocacy group to dissociate from it entirely. CAGE is critical of UK authorities’ role in radicalizing Emwazi. It maintains British spies cannot continue to operate with impunity, and the state’s secret services should be made accountable for their actions. Qureshi, the group’s research director, rejects recent criticism leveled at the campaign group, and suggests it is politically motivated. “Certain media organizations [and] right-wing think tanks don't like our narrative as it goes against the prevailing national security paradigm,” he told Reuters. The ODI’s report concluded guidance offered by the British Treasury on how banks should respond to UK counter-terror legislation is sorely lacking and is the primary reason why charities’ funds are being blocked. Tom Keatinge, a financial researcher for the ODI, says America’s legal and political climate has deeply sensitized global banks to US regulations. He stresses global banks’ decision-making processes are often heavily influenced by American regulations irrespective of their jurisdiction. Andrew O’Brien, policy chief at the Charity Finance Group, said the organization has been inundated with complaints from charities that Britain’s “counter-terror infrastructure” risks jeopardizing humanitarian operations in conflict zones such as Syria. He warned banks must channel more resources into understanding their customers and the procedures they undertake to safely transfer funds. He also called for banks to offer charities warning in advance of changing their policies. The Charity Finance Group policy chief concluded governments and regulators worldwide must review counter-terror legislation to ensure it does not adversely affect vital humanitarian work.